Short description NopRoot is a free open source theme designed by Brainstation-23 using TwitterBootstrap-3.2 for the NopCommerce community and it will be open source for all future releases. This is a open source theme designed by using Twitter Bootstap. It is open source for the NopCommerce community and it will be open source for all next release. Please, suggest us to make this effort more valuable to the community. We will try our best to make it better and release the future version time to time following your feedback. Brain Station-23 is a 100+ people software development company in Bangladesh, working on enterprise and customized web and mobile application development arena with small and medium sized clients located in US, Canada, UK and other European countries. As a concern of BrainStation, nopStation has a dedicated and talented nopCommerce team with two nopMVP. We will be very much happy if our little effort can help anyone in nopcommerce community. Supported browsers This theme is created using Twitter Bootstap. It will support all the browsers which are supported by Twitter Bootstrap. 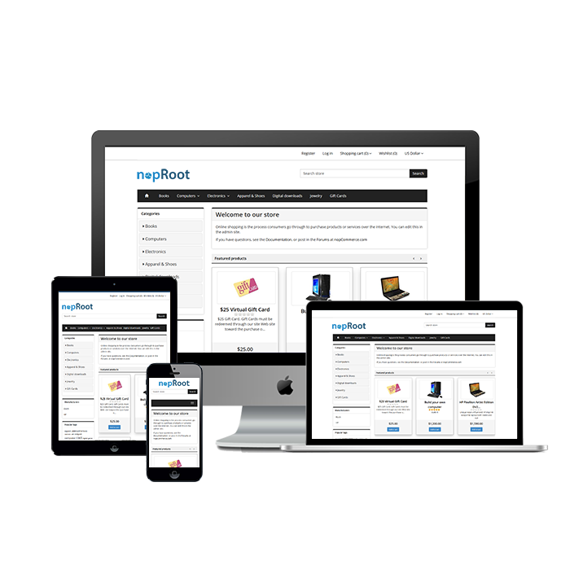 Responsive design is supported only in nopCommerce 3.10 (and above) We used Twitter Bootstap to design this theme but not give any extra effort to make it responsive. Anyone can make it responsive using Twitter Bootstrap easily. We have plan to make it responsive in the next release. 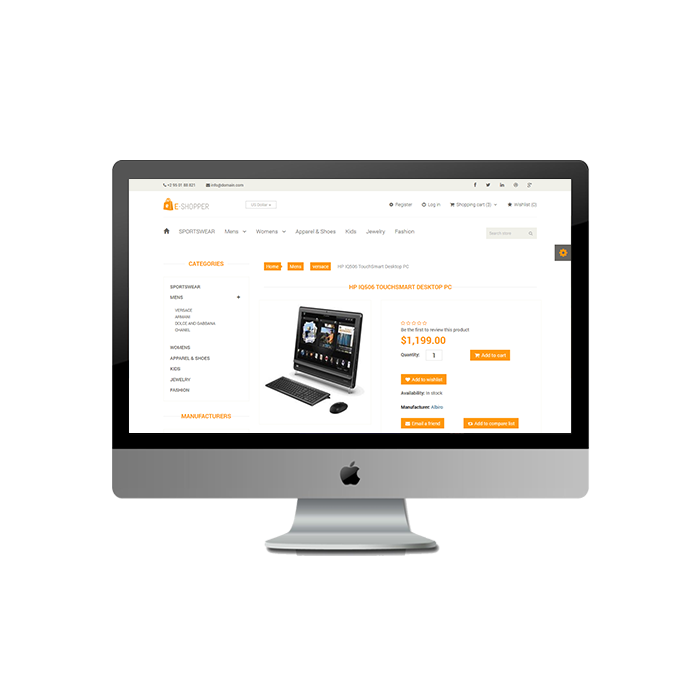 In the same time, if anyone from NopCommerce community can release a responsive theme using our theme that would be great for the community. Upgrades We have plan to upgrade it and release newer version time to time. Once again we want to say that it is our open source contribution for the NopCommerce community and it will open source in every future release. The theme can be further customized according to your requirements as all original files are included. We designed this theme wothout any psd. We tried to use Bootstrap default design and in some cases, we took snippets from Bootsnipp. Developed using best nopCommerce practices We tried our best to use best nopCommerce practices. If we failed in some cases feel free to suggest us. We will follow your suggestion and apply those in the next release. Once again we want to say that you can change this theme as you like because it is open source and it will be open source. Fully localizable We have worked only design area. 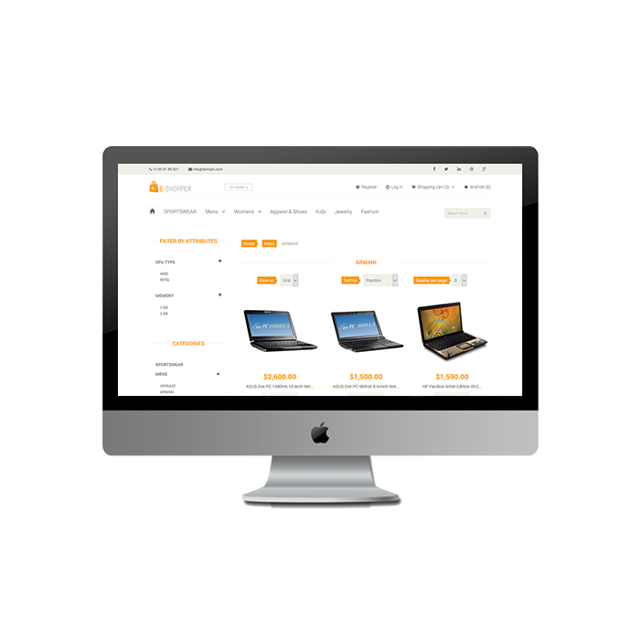 So it is localizable like other NopCommerce theme. Theme Color Scheme We have added three color scheme red, blue and green for this theme to match with your branding best.